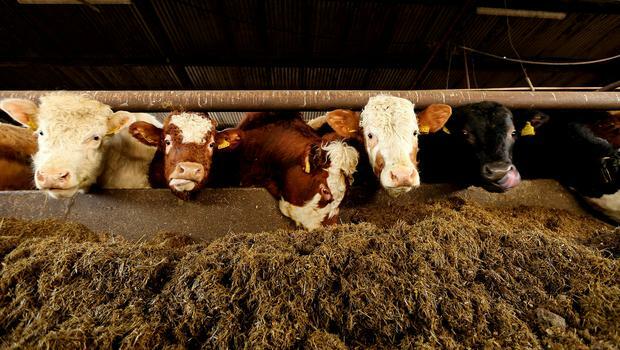 The ICMSA has called for a review of feedlots in Ireland, after figures from the Department of Agriculture show that there were 54,000 cattle in feedlots in the first two months of the year. President of ICMSA said that the Minister for Agriculture, Food and Marine should commission an independent study regarding the influence of feedlots on the price paid for farmers cattle. Pat McCormack said that based on the Department’s data, those 54,000 cattle represent over 17pc of the total kill for those months and this percentage does not include cattle contracted by meat plants. He said this figure can only be described as extremely significant and ordinary farmers were justifiably questioning the influence these feedlots had on cattle prices in those months which saw farmers getting substantially reduced prices on the previous year and consequently suffering major losses. “In 2017 and 2018 respectively, 263,000 and 295,000 cattle were slaughtered from Department designated feedlots and there can be no doubt that such figures will have a significant downward influence on beef prices at particular times of the year. "At this stage, we think that an independent review is required, the Minister should commission it and publish it as quickly as possible – he should consider an interim report if necessary. We badly need to ascertain the full facts here because it’s looking increasingly likely that the numbers off feedlots are being used strategically to dictate wider cattle prices and that puts a question mark over their purpose as far as ICMSA is concerned. We’d be looking very closely at the numbers quoted as coming off feedlots which seem a little vague to us”, said Mr. McCormack.